Rick Perry was the second contestant eliminated from this season of "Dancing with the Stars." Former Gov. Rick Perry with Emma Slater, his Dancing with The Stars partner. Rick Perry did not survive to dance another day. The former Texas governor was eliminated from the ABC program “Dancing with the Stars” on Tuesday night. 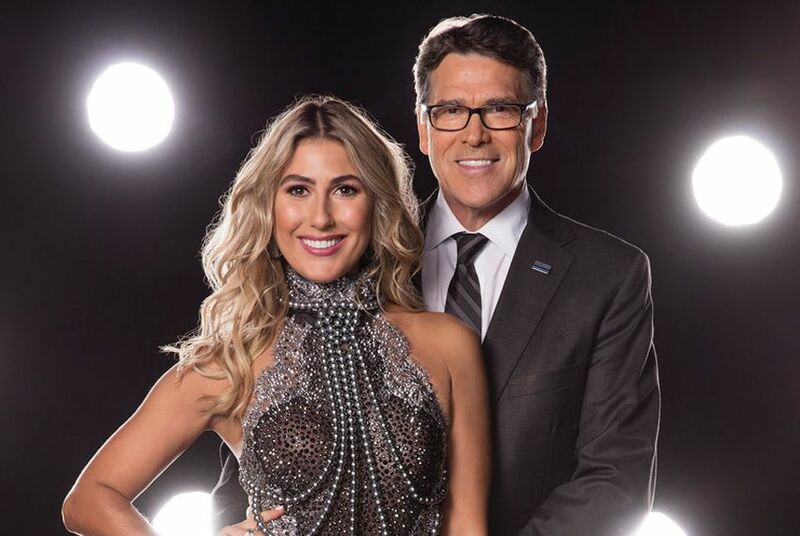 Perry and his dancing partner, Emma Slater, faced elimination at the hand of on-air judges and an audience call-in vote tabulation, and the former two-time presidential candidate was simply outgunned by his fellow competitors in both style and dancing expertise. Even so, he was upbeat. "My daughter is getting married on the 15th of October, and I can promise you I will look good on the dance floor for her," Perry said. The loss came at the hand of another Texan, Vanilla Ice. On Monday night, the two were pitted against each other ahead of Tuesday's elimination round. Perry danced the paso doble in matador garb, and even burst into a solo stomp. Perry and Ice tied, but the tiebreaker threw immunity to Ice on Monday night, jeopardizing Perry on Tuesday night. Monday evening's live performance had a particularly bittersweet tone for Perry. "Dancing With the Stars" aired just before the presidential debate between Democrat Hillary Clinton and Republican Donald Trump; Perry dropped out of the presidential race a little over a year ago. Despite the early season exit, Perry outperformed expectations when he survived the first elimination round last week. From the outset, Perry said his dancing abilities were limited. In an interview with the Tribune several weeks ago, Texas’ longest-serving governor professed to have two left feet and said learning to dance ahead of his daughter’s coming nuptials spurred him to sign up for the show. He also used the appearance to promote veterans issues. His previous performances included a rural-themed dance to the “Green Acres” theme song. Yet it was not enough. Perry was the second Texas politician to compete on the program. Former House Majority Leader Tom DeLay, a Sugar Land Republican, was a contestant in 2009, but left the show after an injury.